Single Game Ticket Opportunities Now Available For The 2019-2020 Season! 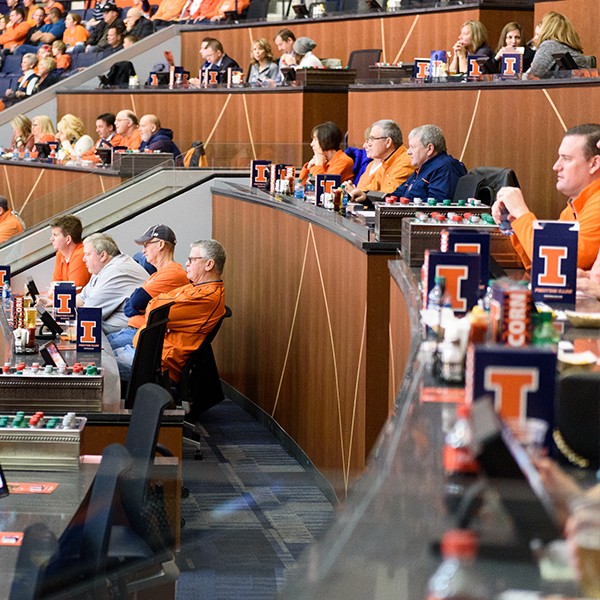 State Farm Center loge box seating provides fans access to many of the amenities of suite holders in a semiprivate setting. Patrons in loge box seating may select the number of seats they wish to reserve. Each features padded seats with ample leg room. Seats feature granite countertops and television displays. 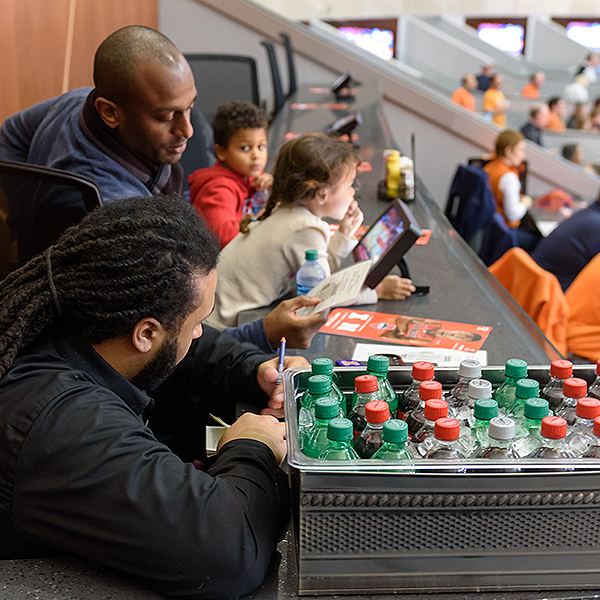 Fans enjoy in-seat dining and beverage service. Guests in this area also have access to the Traditions Club to enjoy socializing before and after the game and during halftime. ** * Prices reflect annual commitments due each year by June 1. After establishing a campaign gift commitment, the first annual lease payment is due June 1. Prices will increase every commitment year by 2.5%. Discounts for prepayment of entire contract term are available. An annual I FUND commitment is required of all Loge Box patrons for the life of their contract. 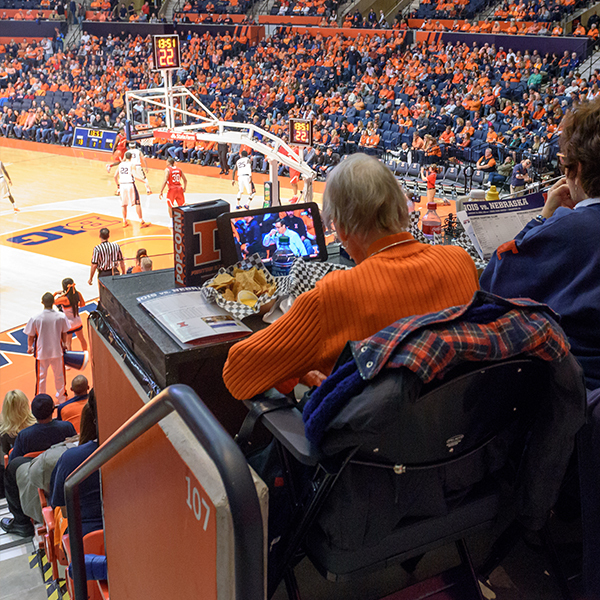 By maintaining an I FUND account, Loge Box patrons will have the opportunity to purchase special single-game tickets and receive an I FUND season parking pass. Single-game tickets and the I FUND parking pass are allocated based on I FUND club level and priority point totals. 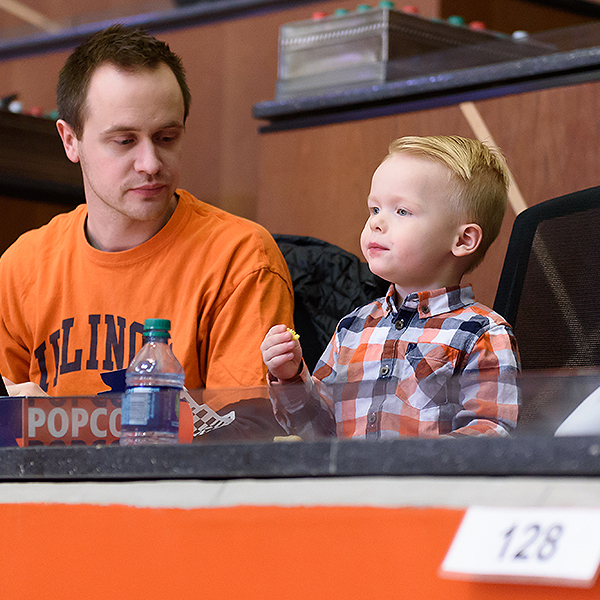 The minimum required I FUND membership for Loge Box Seating is the Oskee level.